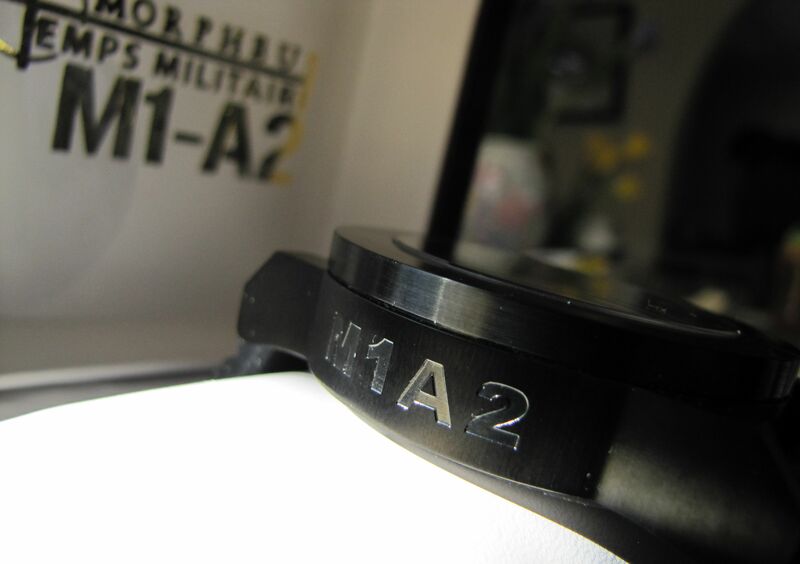 Today, we’re taking a look at the second watch that Morpheus Watches sent over. Oftentimes, we are tempted to refer to a larger (either in terms of diameter and/or thickness) watch as a tank. 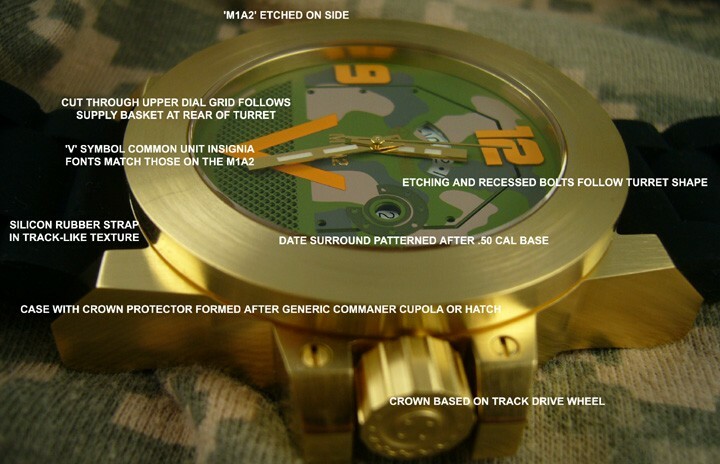 Well, Morpheus ran with that label, and actually created a watch that’s inspired by the Abrams M1A2 tank. 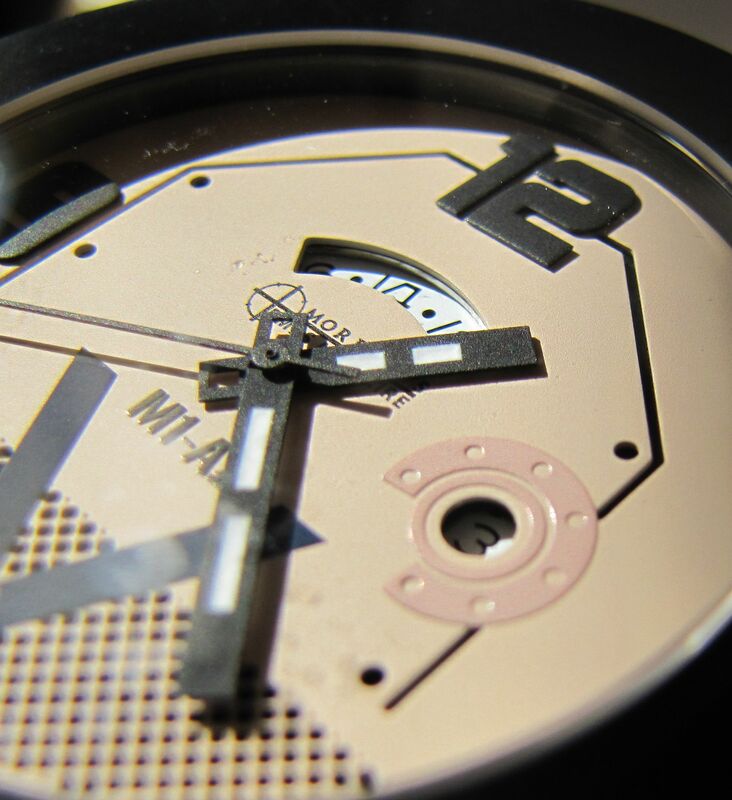 Now, our particular model was the PVD coated case and beige dial (product page), which has a more subtle tank tie – the color of the dial was inspired by the paint color used on tanks (and other vehicles) in the Gulf Wars. 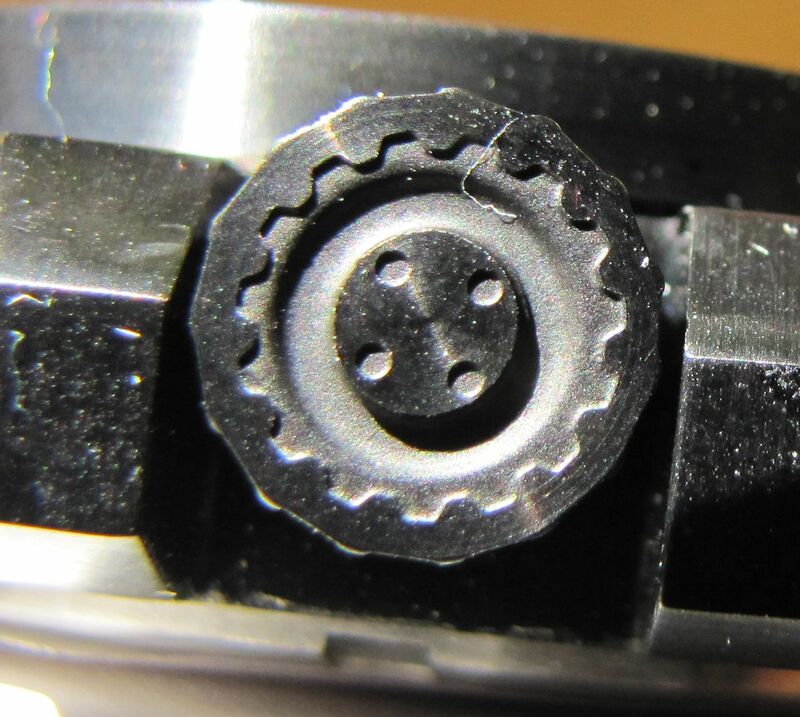 After taking a look at the watch, you’re (like me) probably wondering what that crescent shaped cutout is on the top part of the dial. Thankfully, it’s not some oversized date display window. 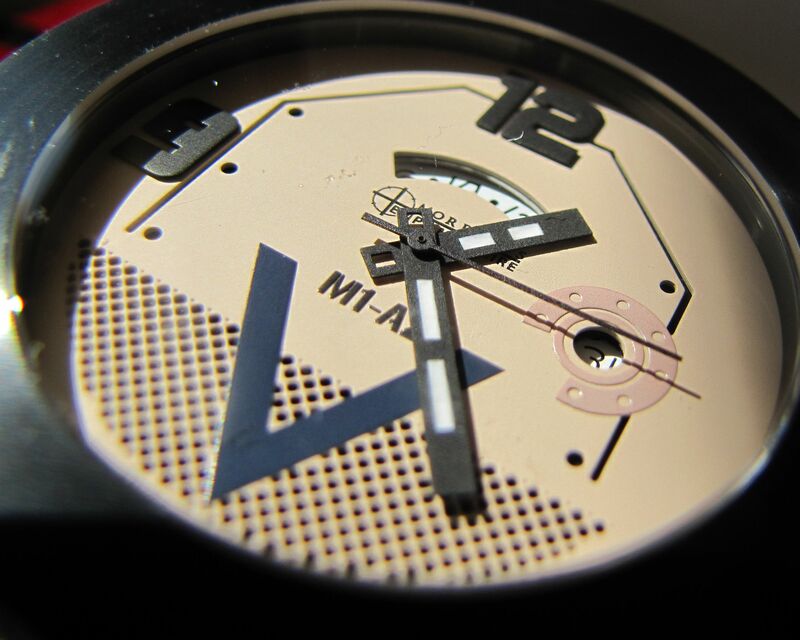 In fact, it’s actually a 24-hour indication dial (courtesy of the Ronda 505.24 D movement). 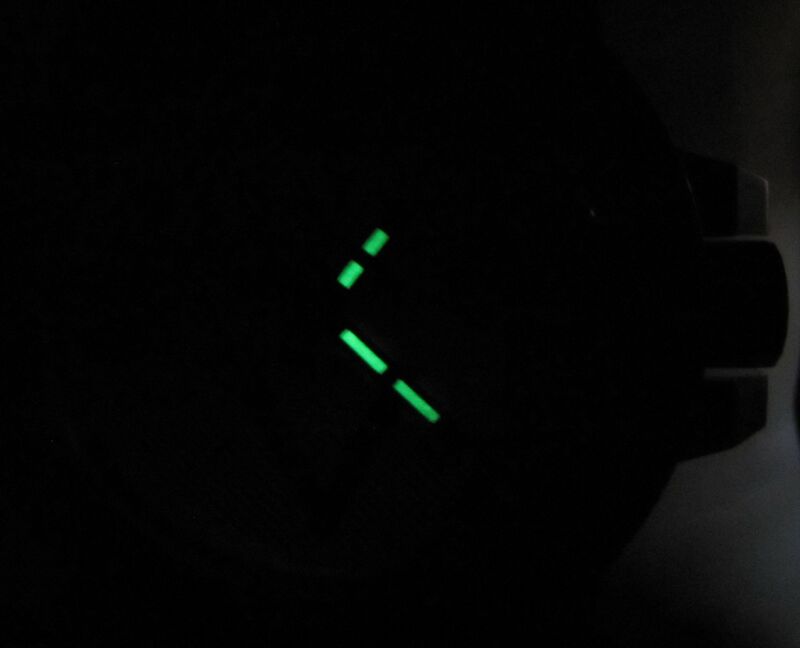 This gives the watch a bit of a unique look, and it’s the first time I’ve seen a 24 hour readout quite like this. While it’s not the way to go for every watch, it definitely works for this watch, giving it more of an industrial gauge feel. 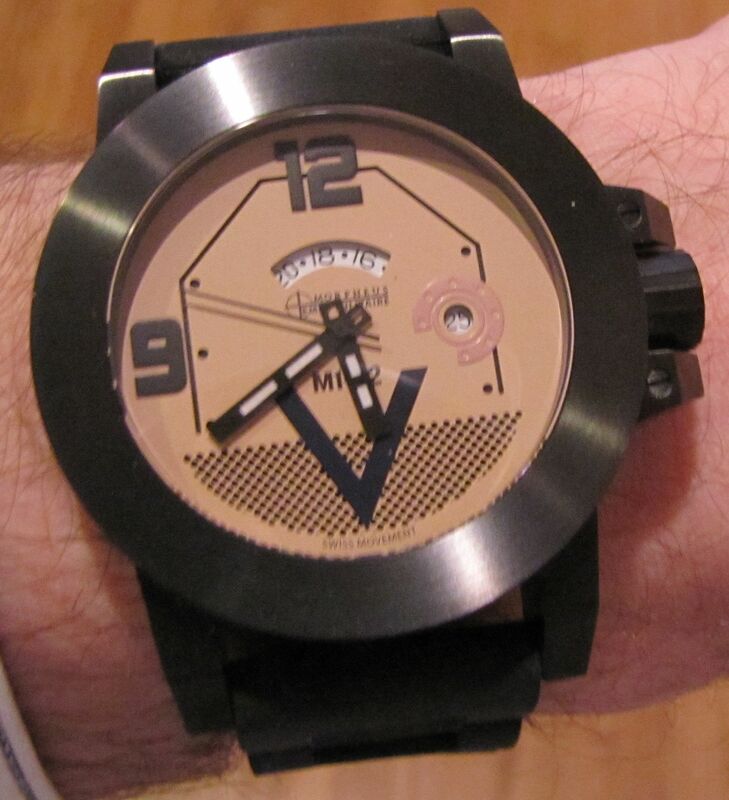 And, overall, this watch has a very industrial feel to it. Which is fitting, I suppose, for the heft that you have on your wrist. The silicone strap does help keep the watch more comfortable (though it is the soft silicone that picks up lint like a magnet) – but you need to be ready for a heavy watch. Of course, this isn’t a watch for everyone – frankly, it’s not one I’d personally be adding to my own collection. That all boils down to a matter of preference and tastes, however – not for any quantitative reasons. If you’re leaning towards picking one of these up, pricing on this collection (full collection here) starts at $395; the gold version goes for $495. Given the limited edition nature of the watches, and the utility of the GMT movement, I think this price is reasonable.